Our very own fashion authority, SM Accessories, has teamed up with the United Republiq Music Fest in raising funds for the victims of Typhoon Yolanda (Haiyan). 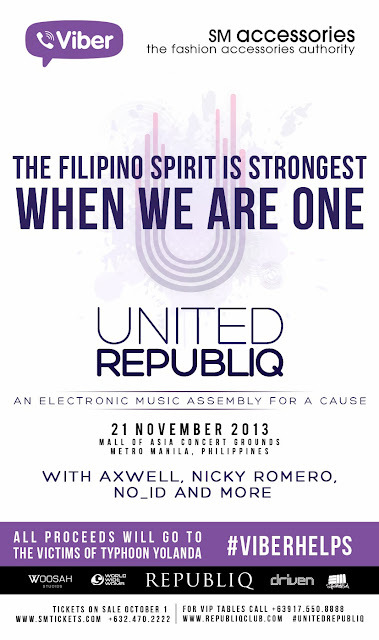 The United Republiq is gonna happen tomorrow, November 21 6PM at the SM Mall of Asia Concert Grounds, and will feature superstar international DJs Axwell, Nicky Romero and NO_ID along with local favorites DJs Ace Ramos, Marc Naval, Martin Pulgar and Mars Miranda. All proceeds for this music fest, along with the talent fees of international and local DJs (estimated at Php 7,000,000), will be contributed to provide relief for this national tragedy. 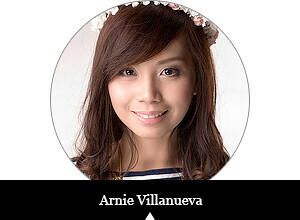 Indeed, the Filipino spirit is strongest when we are one!